Flying SUV Driver Simulator 3D Full - Try to drive or fly SUV in our futuristic car simulator! 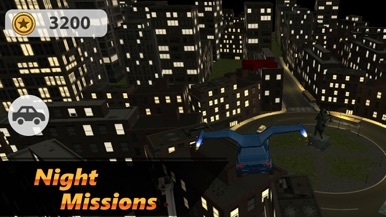 Flying SUV Driver Simulator 3D is a real challenge for futuristic car fans! Find your own strategy how to drive any flying SUV in the futuristic simulator. Start your engine right now and fly, pilot! Try both simulator modes - fly missions and freeride. Train yourself how to drive a car as a professional. Fly right through red circles in futuristic simulator, but be accurate, don't crash! Fly or drive your awesome car! 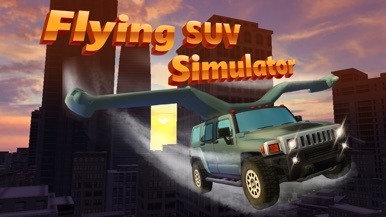 Who loves real airplane flying simulators will love the futuristic Flying SUV Driver Simulator 3D! Perform best flight to collect maximum circles and be a flying car professional. Want to drive or fly in a flying futuristic car simulator? Do it! Transform your car into flying futuristic vehicle and enjoy. No asphalt, no traffic, just fresh air. Earn money, upgrade flying cars, buy new futuristic models and try them. The safety of your flying car depends on you. Is not easy to fly in the futuristic SUV simulator. But you can do it with our tutorial and smooth controls. Don't forget that you can drive too. 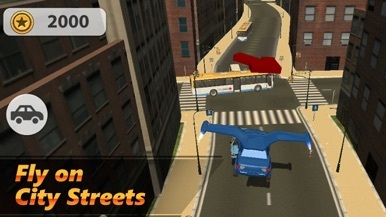 But Flying SUV Driver Simulator 3D is not only about driving, it is more fun to fly here! Fly your futuristic car like an aeroplane! Be a pilot and driver at the same time. Test all your skills and abilities. This futuristic simulator is great! 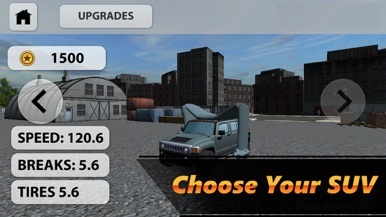 Flying SUV Driver Simulator 3D is best for you, try it and enjoy! Teaspoon for Business is the app designed to enable merchant to perform point collection, dining frequency collection and etc for their customers. Better way to express yourself. Send with SLAM or LOUD. A great collection of stunning 34 stickers in comic manga design. Monkey running around the world for children and guests. Create happiness fun. With a cute monkey show Running in a circle like a ball to dodge obstacles. All through the obstructions With the increase indefinitely. Sounds cute game for kids. Lets play games To to encourage more players. Bleep yes. Now you can bleep all your bleepable messages with these bleeping simple stickers. With bars and blurs of various bleeping shades and sizes, this might be the best bleeping sticker pack in the bleeping world. Bleep. Download Flying SUV Driver Simulator 3D Full - Try to drive or fly SUV in our futuristic car simulator!